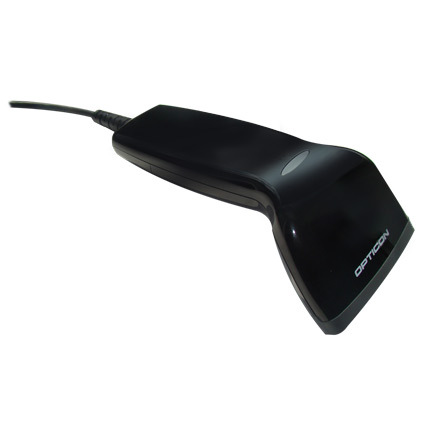 The Opticon C37 barcode scanner is an affordable way to add barcode scanning to your business. Ideal for low volume scanning, such as libraries or home asset management, the C37 uses a CCD scanner to get reads from contact to about half an inch away. The C37 reads barcodes at up to 200 scans per second, ensuring quick and efficient data entry at your business. As a CCD imager, the C37 lacks moving parts, and when combined with the lightweight design, the scanner can hold up to rougher environments than other contact scanners. The scanner is sealed to IP42 standards, protecting it from dirt & occasional water splashes, and is built to withstand drops of 5 feet to concrete. Shipping with a 2-year warranty standard, the Opticon C37 barcode scanner is a great data capture addition for a variety of businesses. • Dimensions (W x D x H): 2.09" x 5.91" x 2.95"
• Decode Range: Contact to 0.59"